Are you looking for a more permanent solution to your make up routine? Based in Haywards Heath Tarryn specialises in permanent makeup at a world-class level, using her precise artistic talent and innovative techniques. Tarryn creates incredibly skilled, beautiful enhancements for brows, lips, eyes and areolas. Over 20 years of experience and a wealth of knowledge, has led to Tarryn becoming a well respected technician, trainer and lecturer. She aims to create the perfect bespoke permanent make up enhancements to make you look and feel amazing! In her secondary role as a Master Educator for the prestigious Finishing Touches Tarryn has trained many of the UK’S premier permanent make up artists. A geniuinely accomplished individual you are 100% safe in Tarryn’s hands. Tarryn provides Permanent Make Up treatments from her clinic in Haywards Heath West Sussex. Should you wish to do so, you can also book an appointment with Tarryn at the Beauty Cocktail Spa in Horsham or The Hair and Skin Cosmetic Clinic in Hastings. Micropigmentation UK 2018 Awards Award winner in 3 categories. 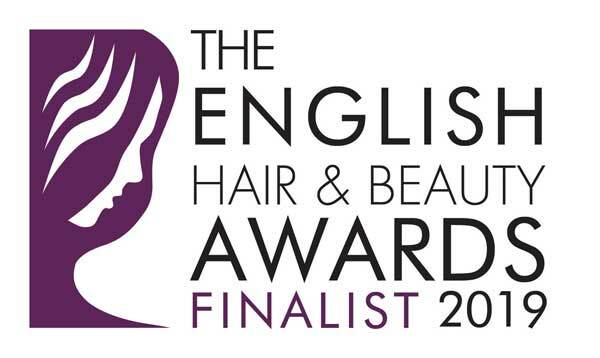 Finalist The English Beauty Awards 2019 Permanent makeup artist of the year. Microblading and permanent make up, whats the difference? There is a wealth of conflicting information being shared about Microblading and permanent make up, which can make it very difficult to know which treatment option is right for you. Firstly lets clarify; What is Microblading? Microblading is not a new treatment at all. It has been around for many many years, certainly for well over 25 years. It has recently become extremely well marketed, and public awareness has risen massively to make it currently one of the most sought after beauty treatments. Before technicians had digital, coil and rotary machines available to use, all we had were hand tools. After machines became available, and got more and more advanced, fewer and fewer technicians favoured hand tools. Now with both method currently being popular, technicians tend to need to be proficient in both. Also, customers need to know the differences between the 2 treatments as there is a lot of misinformation out there. The actual process of Microblading involves the use of a manual hand held tool, with a long straight row of very fine needles attached or inserted into the hand tool.This tool is then dipped in the pigment and dragged across the skin, cutting open a shallow groove in the shape of a hair. The pigment is deposited in this groove, or superficial cut, and the skin then heals over it over a number of weeks.The hand tool or micro blade is reliant on the technicians hand pressure to create this superficial cut. Too much pressure and the cut will be too deep and will cause a scar. Too little pressure and the pigment will not hold. This is the reason why it is imperative that clients only go to well trained, experienced technicians with good treatment portfolios for clients to view. Treatments conducted by poorly trained or inadequately skilled technicians can lead to severe scarring in the skin. This has, in turn, led to a lot of negative publicity about Microblading. It causes more trauma to the skin than Permanent make up does. The pigment frequently heals with an ashy grey cast, as all of the pigment molecules are clustered together in a straight groove. Permanent make up can yield warmer brown results, if requested, because the pigment is more spread out. Micro blading does not last as long as Permanent make up does, due to a smaller amount of pigment being implanted. Micro blading is also not suitable for certain skin types. So if you have oily and or a thicker type of skin, with large pores, then its really not going to work for you. Permanent Make up can be done on all skin types. Permanent make up is done using a machine that moves a needle or group of needles up and down into the skin. This creates tiny punctures or tunnels in the skin, into which the pigment is pushed by the needle. The digital machines or devices we currently use, are so advanced that they even create precise perfectly spaced punctures in the skin, with no tearing. So minimal trauma is caused to the skin, unless wielded by a poorly skilled technician. There also a plastic cap surrounding the needle to support it, and this cap creates a type of well of pigment. There is then a large amount of pigment being pushed out of the cap and down the needle into the skin. Which means that much more pigment is implanted per stroke then you would achieve with a Micro blade. Therefore a longer lasting result. Whilst both disciplines have the capability to achieve a stunning result, it’s very much an individual choice as to what method you personally prefer and also down to the skill and experience level of technician you choose. The one thing I have found though, is nearly all of the clients who are asking for Microblading in West Sussex are actually specifically looking for Hair strokes. Whether they are looking for a soft fluffy look, or a dense more structured look, they do not realise that both methods can achieve their desired result. They seem to think that Permanent make up means as solid block of colour, which is absolutely does not. Some of my best examples of Hair Stroke brows are done with a machine and when compared with brows that I have Microbladed, there is no visible difference. 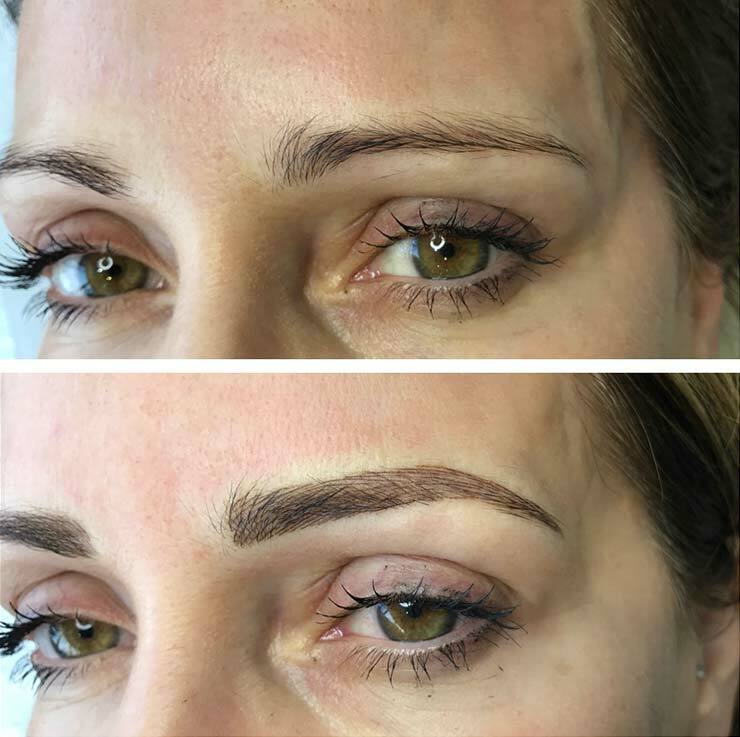 Another misconception is that Microblading is not a form of tattooing, but it is as much a form of tattooing as Permanent make up is. Both methods implant pigment into the dermal layer of the skin. With both procedures, a top up will be always required 4-8 weeks later. After that both require annual maintenance, however Micro blading will fade sooner. The cost is the same for both methods, as is the amount of time taken to do it. Whichever option you ultimately decide to go for, it’s important to carry out thorough research and to select a highly experienced permanent makeup technician with a good solid portfolio of current work. Due to the increased popularity of permanent make up over the last decade, the market place has become saturated by offers of appealing low cost treatments. However as with anything in life, experience, training and skill costs. Don’t be tempted to opt for the lower priced offers to save money, as this is one treatment where experience, knowledge and skill should be valued.